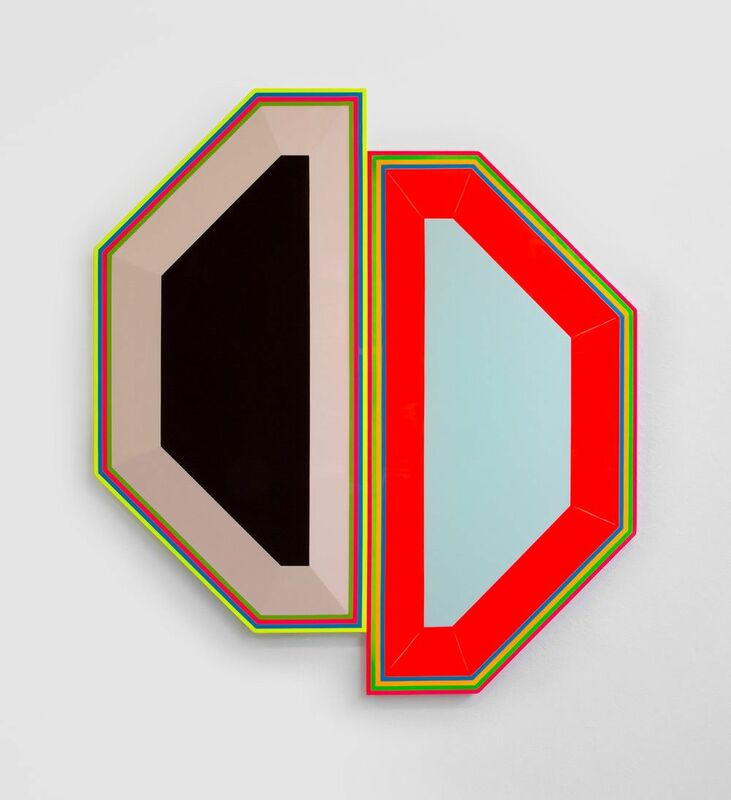 CUE Art Foundation is pleased to present DOSE, an exhibition of paintings by Beverly Fishman, curated by artist Nick Cave. The exhibition is comprised of a series of luminescent, geometric forms that resemble the shapes of common pharmaceuticals. Straddling the line between sculpture and post-painterly abstraction, Fishman’s optically intense work functions as an avenue for social critique, probing the pharmaceutical industry’s aesthetic decisions and branding strategies. Fishman has executed many of these pieces on a monumental scale. Finished in glossy sheens, their beveled edges throw fluorescent reflections onto the gallery walls. Her atmospheric pigments test depth in a three-dimensional space, deconstructing the illusion of color as a flat phenomenon, and evoking the corporate iconography of drug manufacturers. Nick Cave notes: “Narcotic Euphoria” is the best way to describe Beverly Fishman’s newest body of work. It is a chromium “call-to-arms” delivered with conversely sinister subtlety. It engages with the legacies of Frank Stella, Gary Lang, and Peter Max, all post Joseph Albers, who brought a hard edge to painting and exploited color to tap into an affective and human motivational state. But in this case, Fishman takes all that happens up in the viewer’s head and envelops the heart and pushes it through the entire nervous system. This exhibition uses the familiar, pharmaceutical shaped, and multi-faceted forms of "the daily dose" as the body for her work, so that her deceptively logical and internally vetted color combinations can “sound off” as the voice. Her masterful and continually shifting use of contrasts—color, shape, and scale—define the spaces, both positive and negative, that seduce and induce the viewer into insensible understandings of themselves and the world’s exertion upon them.